With the number of smartphones hitting the market, the study reveals that the average person looks at their mobile nearly 200 times per day, which is going to increase by nearly 400-500 times per day. Data from Ericsson revels that by end of 2020 there will be around 6.1 billion smartphone subscriptions and around 90% of the global population over 6 years of age will own a mobile phone, a trend which is seen evidently. 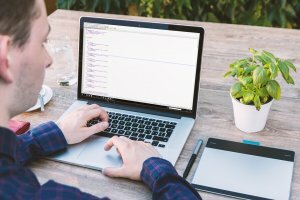 In midst of this the mobile devices and cloud services have changed the way we work, helping employees to carry out their work from home or in the office using tablets and smartphones. The enterprise mobility market had gone through some changes in 2014 – from strategic partnership between great tech industries to the primer of new wearable technology like the Apple Watch, which has initiated the door of enterprise mobility, which is all set to be a big IT Trend for 2015 – a trend which will be at the top of the CIOs agenda. The million question now is why is Enterprise Mobility that important? With the increase in number of smartphones, tablets and SaaS applications has revolutionized the way we work today. Enterprise mobility gives instant access to information through mobile applications anywhere, anytime enabling them to be on tip of their toes. Having an improved mobile productivity results in greater ROI which further enhances the businesses. As per the report from bbc.com nearly 4.2 million people were seen working from their home in the year 2014. Services like Microsoft office 365 enables employees to work or edit documents and go through emails from any device at any time. Enterprise mobility carries with its lot of conveniences of all sizes from hand-held device to cost saving to companies. 2015 is set to increase the demand for iPhone 6 Plus and Samsung Galaxy Note 4 as employees have started feeling the need of a better solution to meet their on-the-go needs with a better tablets. Employees will slide from tablets to a convenient portable device like Phablets that will enable them to do all their work on the go. 2014 saw many companies investing in and using data-rich enterprise apps like customer relationship management tool, but the most challenging thing any organization will face in 2015 is securing the data. 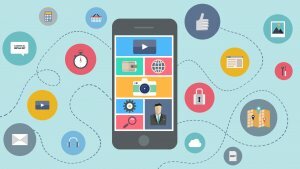 With the growing focus on cybersecurity infrastructure, many organization will go for mobile device management (MDM) tools, hence security may become the responsibility of the application, where one can see more enterprise applications with inbuilt security to erase the concerns of their customers. With organization wanting to go for an all-in-one MDM solutions that will take care of all BYOD security needs, vendors and organization are moving away from a singular devices to a holistic approach that will protect the device data and applications. BYOD will be the talk of 2015, with security vendors going for all in one MDM solutions. Recent report by Frost and Sullivan says, enterprises will embrace wearable at a much tremendous rate, making it a strong presence in the modern enterprise that is expected to become the mainstream of 2015. As companies implement IoT solutions, CIO are sure to find IoT to become driving force of the digital transformation of their company. The growing importance and scope of the data will push CIOs to integrate with the IoTs into their business technology agenda. 2015 is all set to bring its first flavors of Enterprise mobility apps, with mobile technology growing at a rapid speed, there will be a need to evolve their approach towards the management and deployment of mobile devices, their services and the apps, to increase and maintain their ROI. Get in touch with us to know more about enterprise mobility apps. This page was last edited on May 24th, 2017, at 16:35. 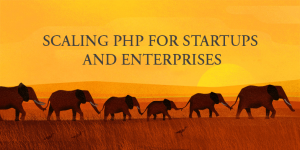 Scaling PHP for Startups and Enterprises – Why Is It Preferred for Your Project?